The Blogiversary was actually a couple weeks ago, but we have been busy with potential house buying and Yellow Ribbon Ceremony (the reason we were in Atlantic City last weekend). I'm doing my best to get back on schedule! I actually have lots of adventures in the pipeline, I just haven't had time to type them up! 1. Caveman BBQ/The Cave Restaurant & Resort will probably always be my favorite Missouri attraction to tell people about, mainly because my sight-unseen obsession with the place was the inspiration for starting this blog. 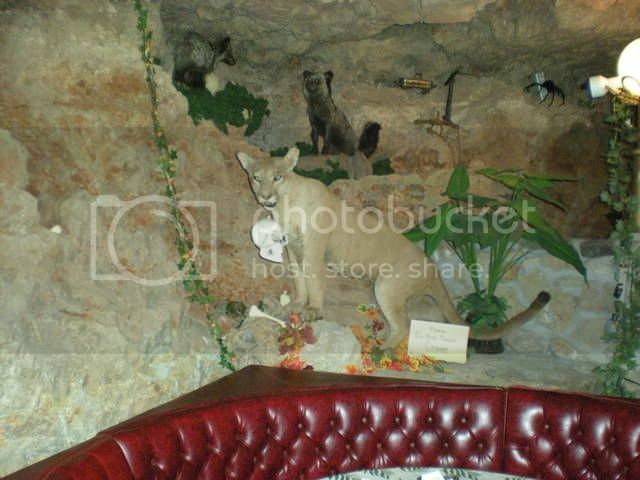 "It's a RESTAURANT in a CAVE." We finally visited the original owners at Caveman BBQ in September, 2008, and the new owners of The Cave Restaurant & Resort in August, 2009. Hoping to get back down there in 2011. 2. I still think someone should film a low budget sci fi movie at the Nuclear Waste Adventure Trail. That mound could stand in for a hundred different things if you use creative camera angles. 3. 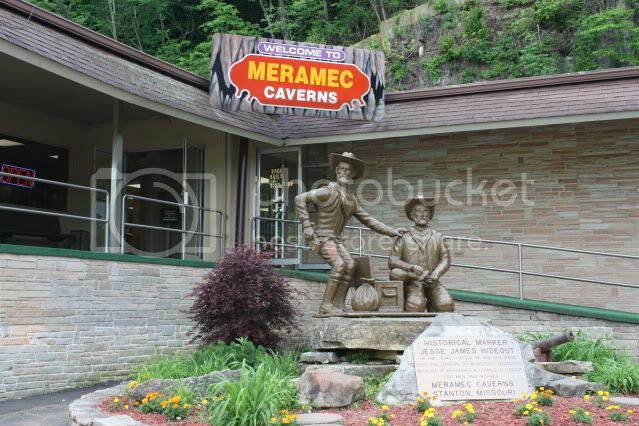 Meramec Caverns will always be the Greatest Show Under the Earth, and my favorite birthday party destination. 4. 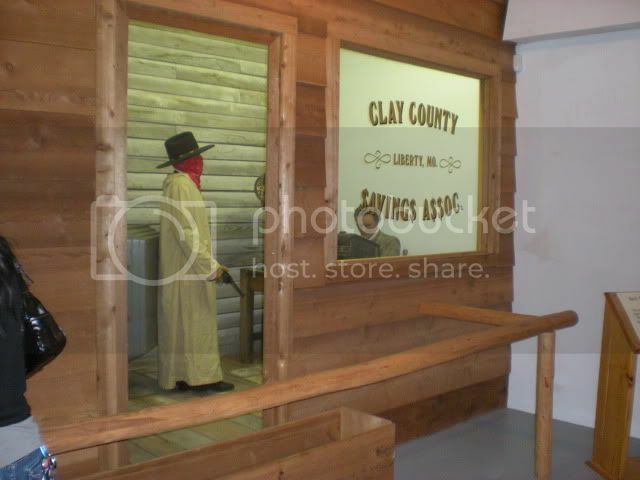 Jesse James Wax Museum in Stanton, MO is the epitome of a roadside attraction in Missouri. It has always been one of the most popular blogs I've ever written. Honestly, it's probably because they didn't have a website for a long time. Now they do. 5. 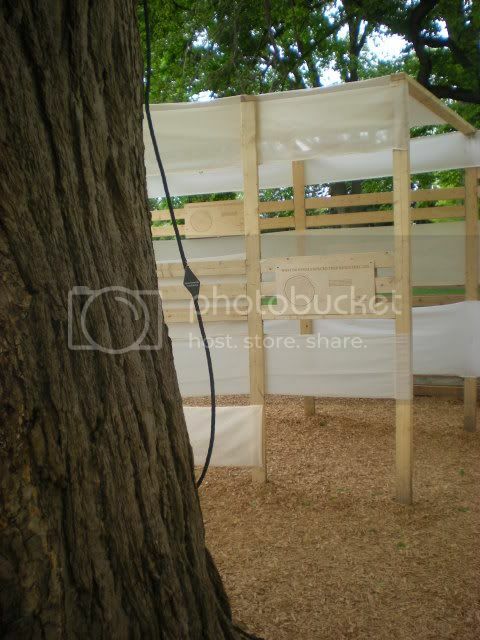 One of our favorite summer fall activities, ghost hunting with Haunted Illinois. 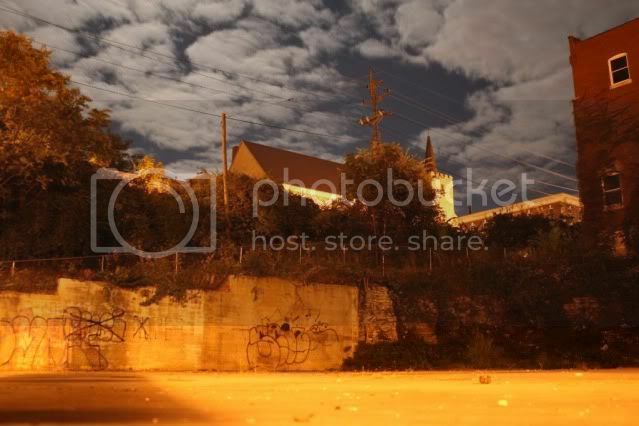 The picture is from Alton, but the #5 spot is also shared with Lebanon. 6. 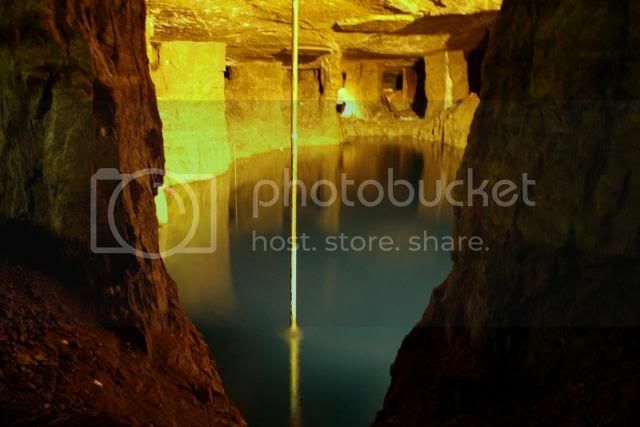 Bonne Terre Mine is spectacular and we look forward to visiting it again this year! Jacques Cousteau came to dive for a day and stayed for a week! 7. 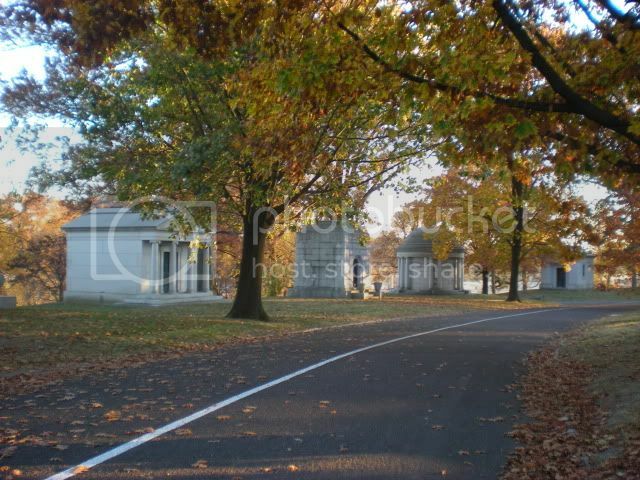 Bellefontaine Cemetery was the first rural cemetery west of the Mississippi, and Mausoleum Row is one of St Louis's greatest architectural treasures. 8. 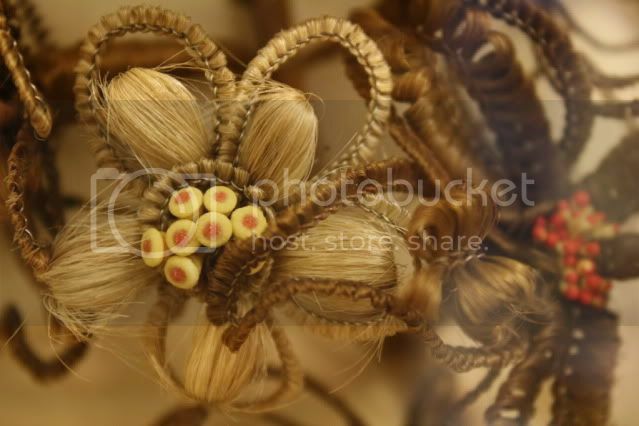 Leila's Hair Museum in Independence, MO was one I'd encountered again and again in my roadside research, so it was awesome to finally cross it off the list. Remember that pictures in this post are only from the lobby! You'll have to visit in person to see the thousands of items in Leila's collection, including the religious relics. 9. 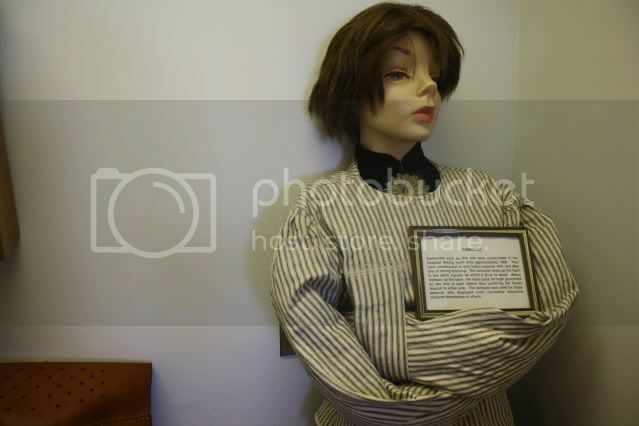 The Glore Psychiatric Museum was another reason I started this blog. It lived up to the hype, so much so that I needed a second post for patient art projects. 10. 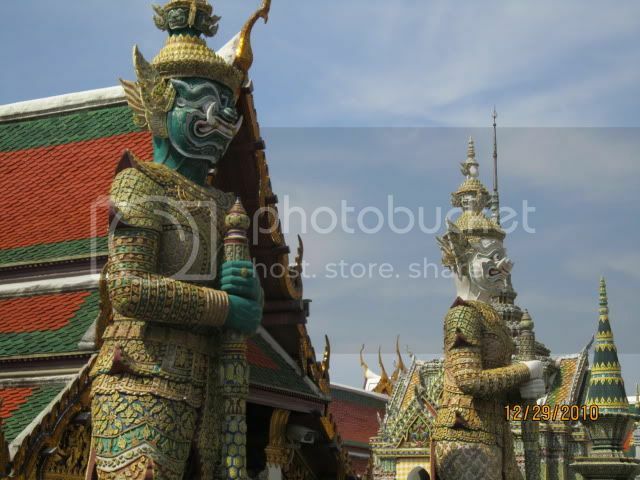 Wat Phra Kaew, or Temple of the Emerald Buddha, is the most sacred Buddhist shrine in Thailand and definitely one that should be on your bucket list. Pictures will never do it justice. 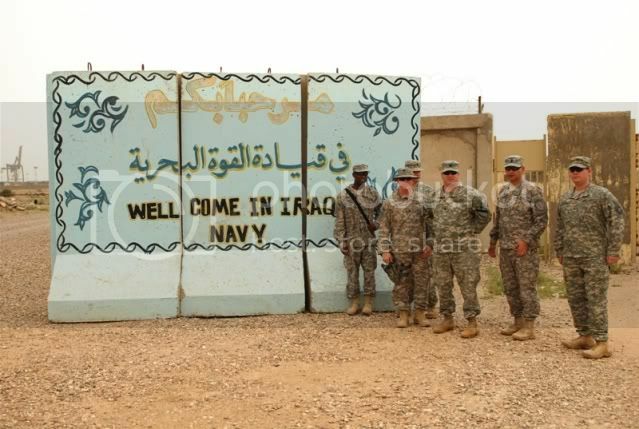 HONORABLE MENTION, since this is one I haven't been to myself: I wasn't fooling any of my friends in St Louis when I let Sgt Francis Horton write a blog for me from Basra, Iraq, when I had been absolutely adamant about never allowing guest blogs. Even now, after digging in the archives for 15 minutes trying to find a link to it, I am blushing to find that I let that through in MAY. I am SHAMELESS. But hey, it worked, and it made me loosen up about guest blogs. I look forward to many more years of adventures with him! 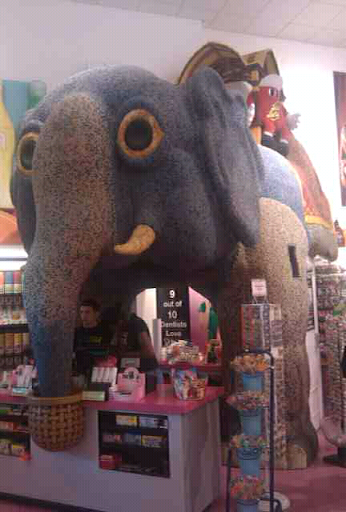 This is an elephant made from jelly beans! WHOOPS, I kind of forgot to write a blog this week (and last week). I've been so busy with the garden since the rain stopped, which is really a perfect segue into the topic I'd been meaning to get to. 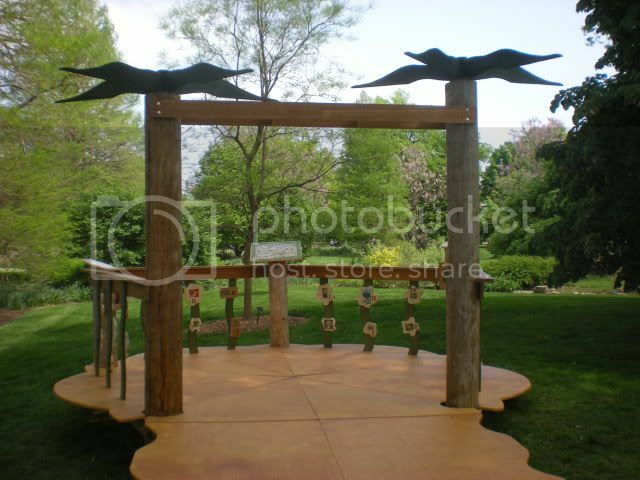 There is all kinds of fun stuff going on around St Louis for the Missouri Botannical Garden's TREEmendous Celebration of Trees, part of the UN's International Year of Forests! 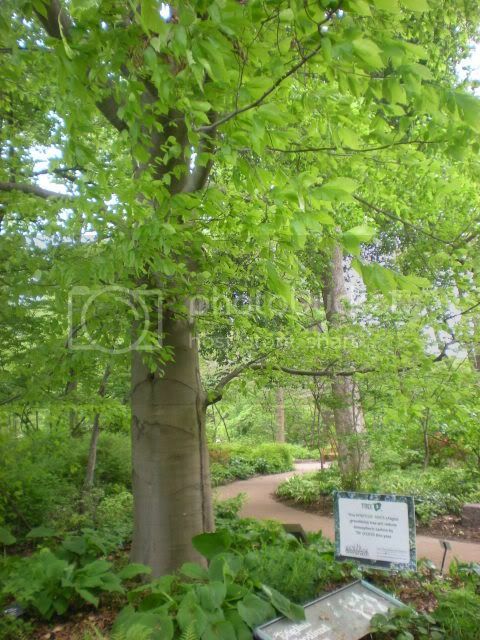 The main TREEmendous activity is the Great St Louis Tree Hunt. 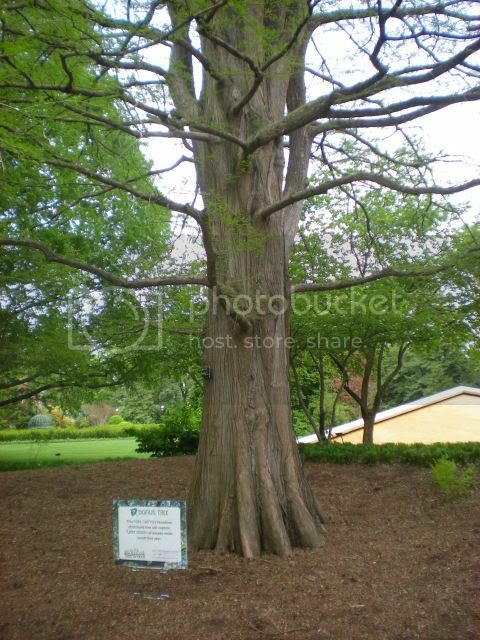 I first ran into this when I found Tree #8 while looking for a geocache in Bellerive Park. The owner of that geocache just told me the other day that there is a whole series of geocaches that go with the Tree Hunt! Two activities in one! 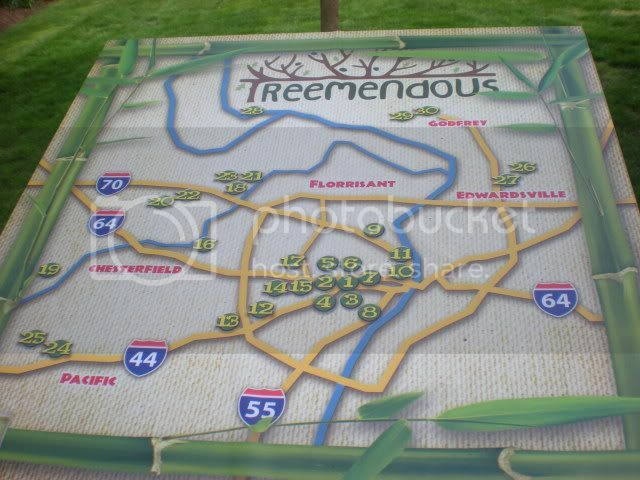 As you can see from the map in the first picture (and online here) the 30 trees are scattered through the St Louis area. I think the pictures I'm using here were just for the Forest Festival a couple weeks ago, perhaps a mini tree hunt. There are only two "Official" Tree Hunt trees in MOBOT, and they should have a marker with a QR Code that you can scan with your smartphone. If anyone has recommendations for reliable, free QR scanner apps for iPhone and Android, please leave a comment! 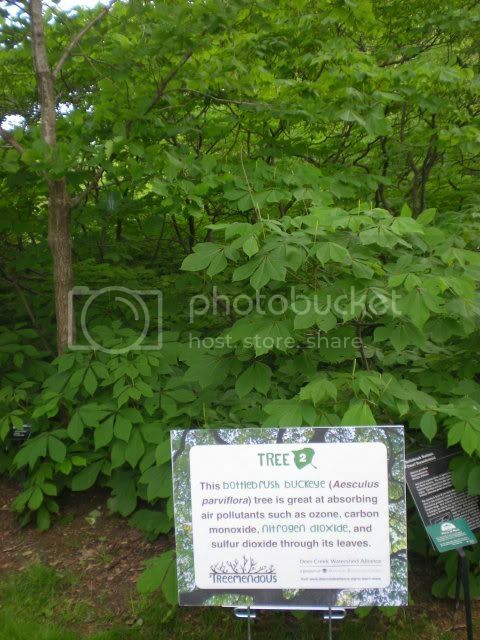 The way the Tree Hunt works is like this: download the guide, find at least 15 of the 30 trees, take a picture of the sign with your smart phone (or write down the information on the sign in your guide), and then take your findings to the TREEmendous Interactive Discovery Center to claim your tree-themed prize! And if you are doing this with a smartphone, don't forget to download the Groundspeak Geochaching app so you can see if the tree you found is part of the St Louis Geocachers Association's TREEmendous series! The Groundspeak app is $10 (one-time charge), but it is totally reliable and worth every penny ten times over. Francis and I both have the "pay" app on our phones and use it all the time. 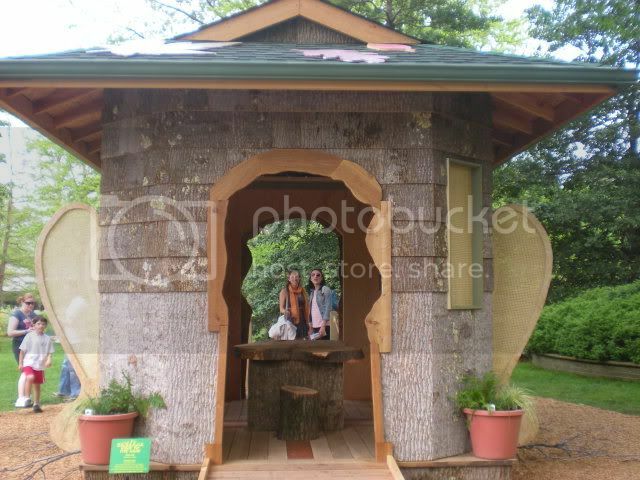 The reason we went to MOBOT on the Forest Festival weekend was to check out the Extreme Tree Houses, which will be on display through August 21, 2011. 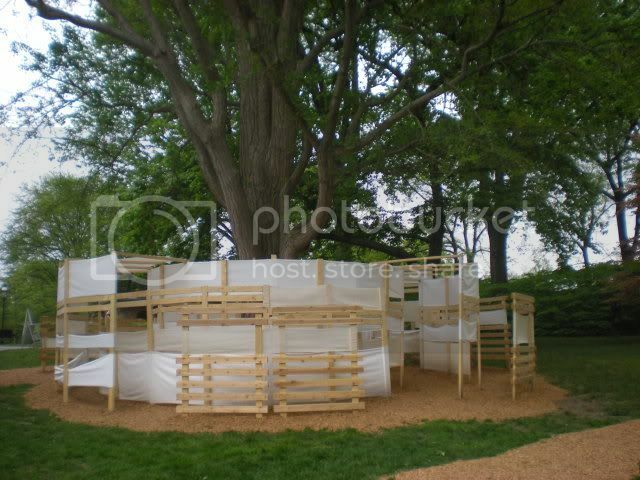 Much like CANstruction, Extreme Tree Houses is a competition of local architects, designers, artists, and schools that combines design/build with education. In the interests of space, I'm not going to be able to talk about every single tree house (and why would I spoil all the fun of seeing them for yourself?) 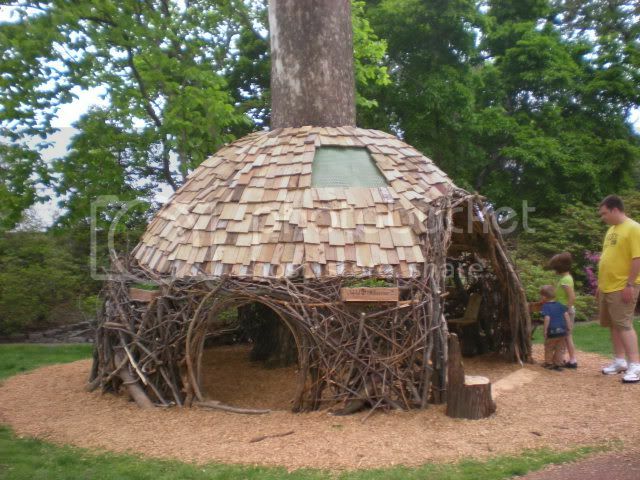 Since we were kind of disappointed that none of these Extreme Tree Houses were actually up in trees, I'm going to show you the ones that most embrace the spirit of the tree house without leaving the ground. 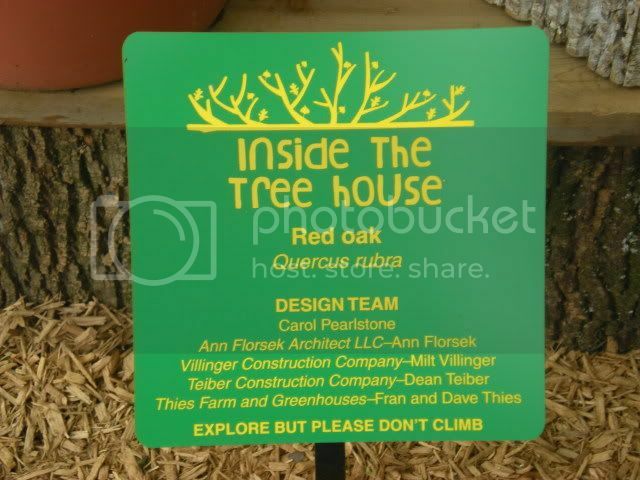 First we have "Inside the Tree House" (design team), one of my favorites. 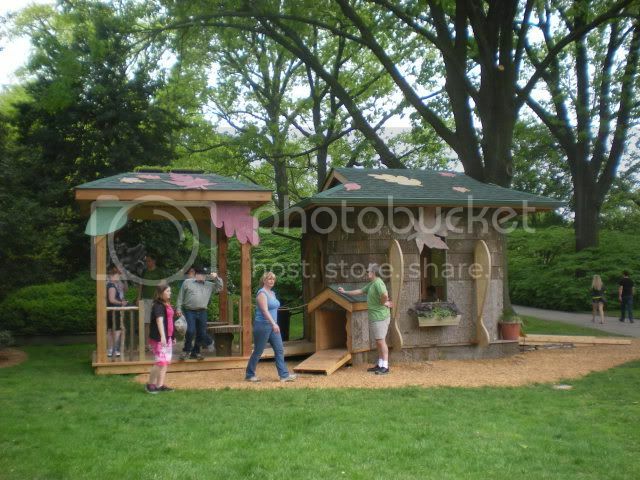 As you can see, it has a "house" part, as well as a back porch/gazebo. 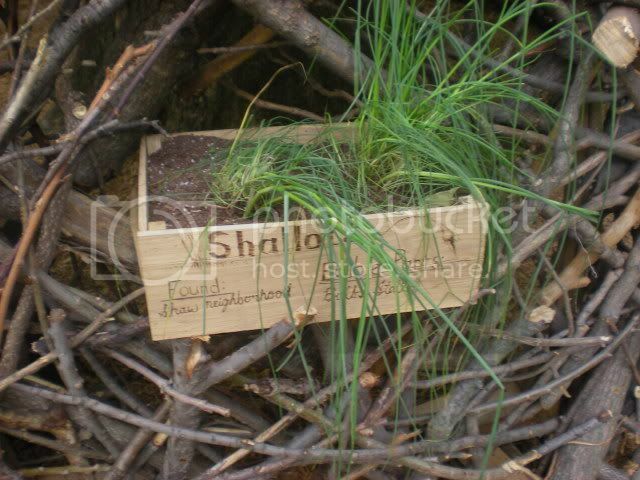 This was extremely popular with the kids and some of them were very territorial about it. 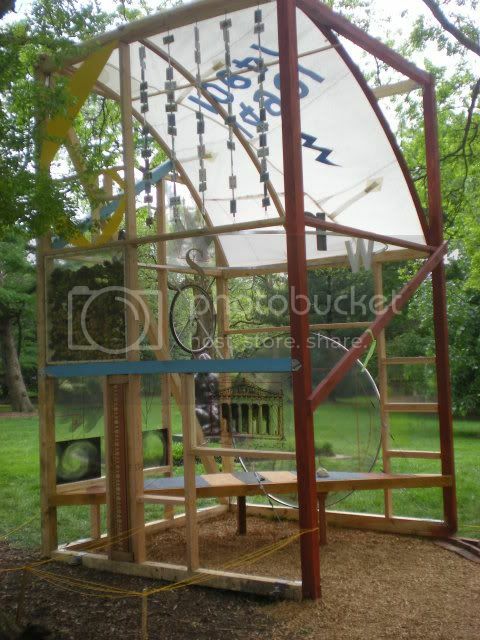 I thought that was pretty awesome, since it said to me that their imaginations took off as soon as they set foot in it. 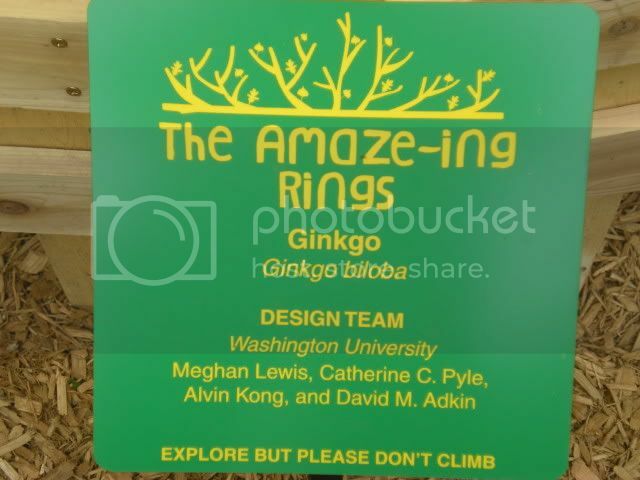 Next we have "The Amaze-ing Rings" (design team), which is super cool in a multitude of ways. 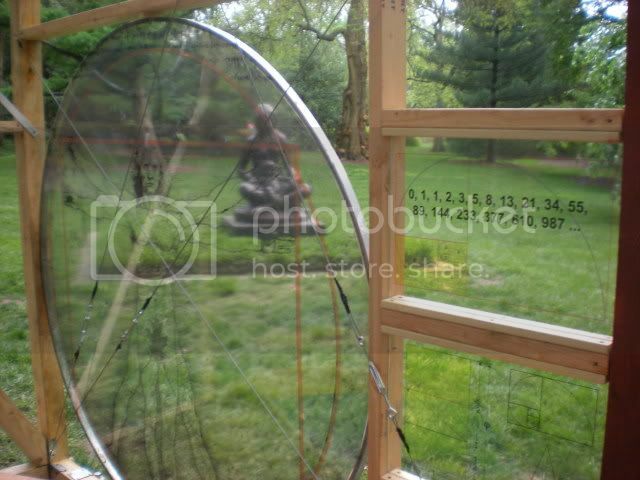 First, it's a maze, which means that the very design gives that closed-off feeling one is looking for in a tree house. 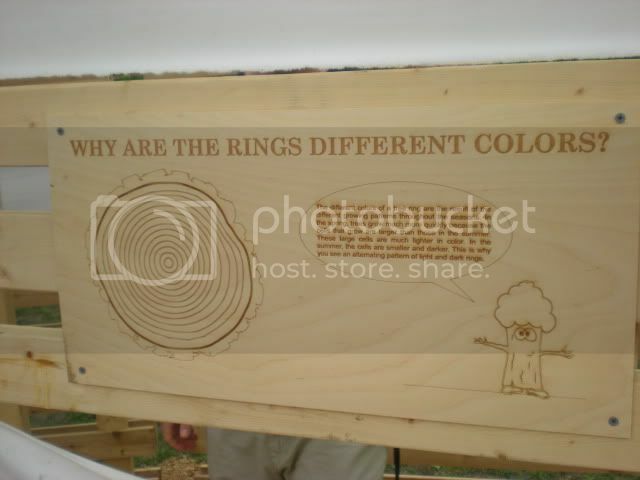 Second, the circular maze represents the rings of a tree, and the wood plaques throughout the maze explain the composition and science behind the formation of tree rings. Fun and science! I expect nothing less from Wash U! 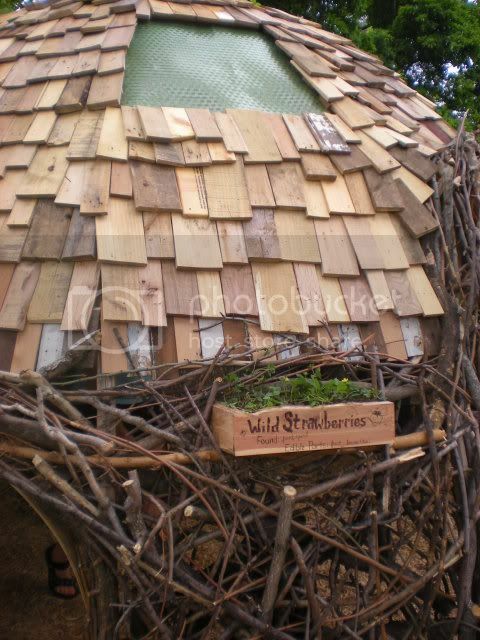 Last but certainly not least, my favorite tree house of all, the Kansas City Art Institute's "Nomad Nest". In my semi-professional but unaffiliated opinion, this one embodies the spirit of the contest better than any other. 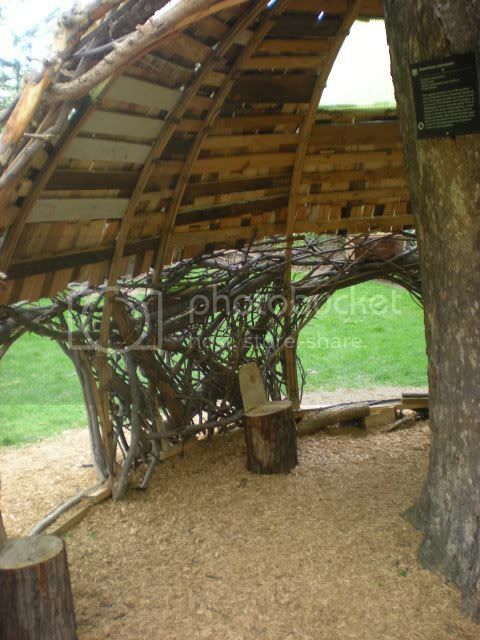 It definitely has the feel of a treehouse, plus it really incorporated the tree into the design, and is made entirely of found/repurposed materials. Even the plants in the window boxes are both edible and locally sourced! What a great touch! Of course, since I can't do anything halfway, my goal is to find all 30 trees this summer, and I'm sure it will inspire lots of blog posts. The contest runs through September 30th, so get out there and hunt some trees and report back on your adventures!